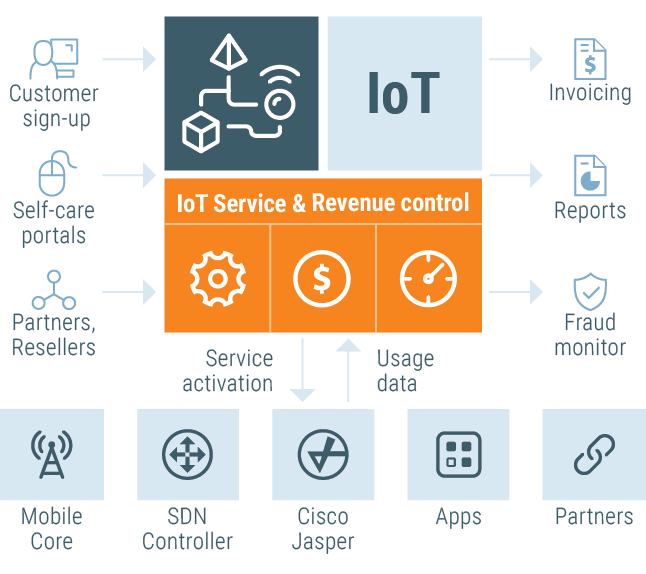 M2M / IoT for communications service providers: automated provisioning, parallel network deployment, and flexible billing options. complex service monetization due to rigid legacy billing. There is an absolute need to fully automate the full-cycle service provisioning for M2M projects. This means interpreting data from omni-channel customer acquisition sources, such as order entry systems, distributors and resellers interfaces, self-care portals where customer can purchase add-on services, etc., translating them into service configuration details and delivering them to various network elements and applications. updating SDN controller configuration to allow proper routing of that device’s traffic into VPN, etc. So the B/OSS system, such as PortaBilling, must be able to execute multiple provisioning paths, connecting equipment and applications. Since the list of components and applications involved is constantly changing, the B/OSS system must provide multi-vendor support and deliver capabilities that easily add new connections via different APIs. It must scale up and allow near-instantaneous service provisioning of hundreds even thousands of entities. PortaBilling is pre-integrated with common applications such as Cisco Jasper or mobile network core components. Open architecture allows it to quickly add API adapters for new applications and components. Cloud architecture is scalable and enabled to seamlessly grow your business operations. Various radio access technologies (RAT): UTRAN, NB-IOT, etc. 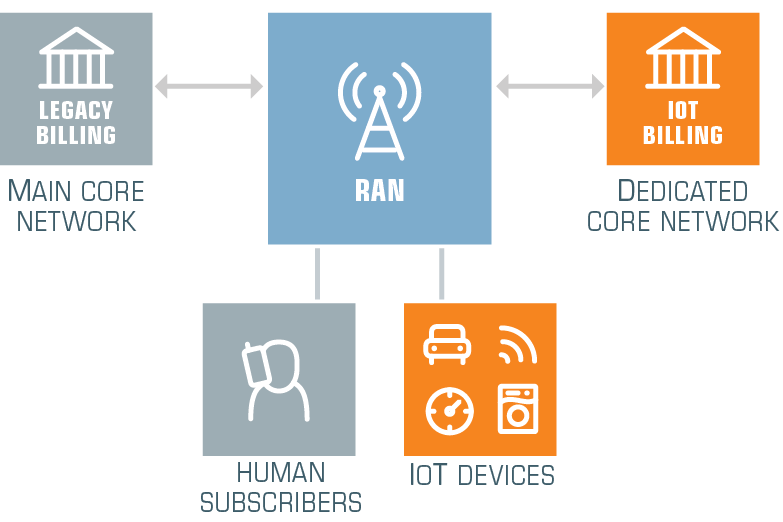 For mobile network operator (MNO), running IoT/M2M traffic on the same core network as the one used by its existing “human” customers is risky. An enormous number of devices with various and often unpredictable network usage patterns will quite likely interfere with the activities of ordinary users. Also, rapid changes in IoT world require frequent re-configuration and updates of the mobile core network which will generate even more unhappiness among ordinary customers. This is why a dedicated mobile core (eDECOR) technology is gaining momentum. It allows continuing to share the same radio network, such as antennas, towers, and base-stations, but use a separate set of network equipment for handling activities for specific type of endpoints (e.g., IoT and M2M communication devices) or by MVNO. It is even possible to segregate devices even further: for instance, for separating large enterprise customers from each other to avoid interference and allowing customized feature management. In order to take advantage of eDECOR, CSP has to become a full MVNO, i.e. implement full integration with a mobile core: provisioning of HLR/HSS, collecting usage data for billing/fraud detection, etc. PortaBilling supports provisioning and real-time charging for dedicated mobile core technology: eDECOR. With an increased number of IoT devices consuming resources on the network, it is easy for some of them to fall through the cracks, i.e. billed according to an incorrect tariff or for charges attached to a wrong account. The cost of operation now may have multiple components: recurring charges for using MNO network, overage charges from MNO, additional charges from roaming partners, etc. It is important to correctly balance cost/revenue and alert administrator if something is not correct. 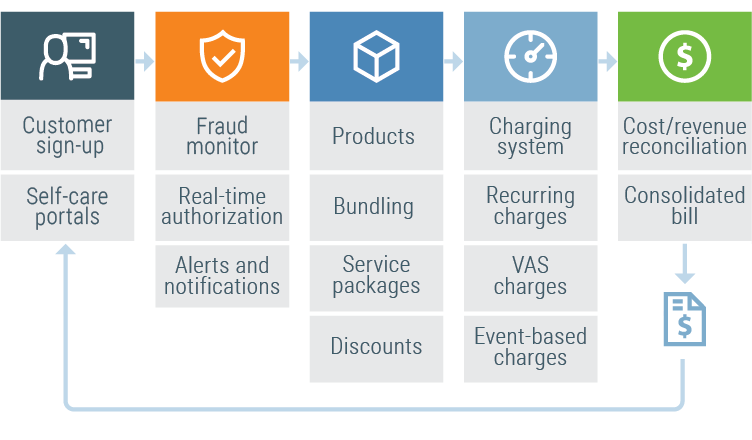 This includes potential fraud or service abuse an ongoing issue with IoT and M2M projects. allowing as much automation as possible via omni-channel customer management and self-care portals. 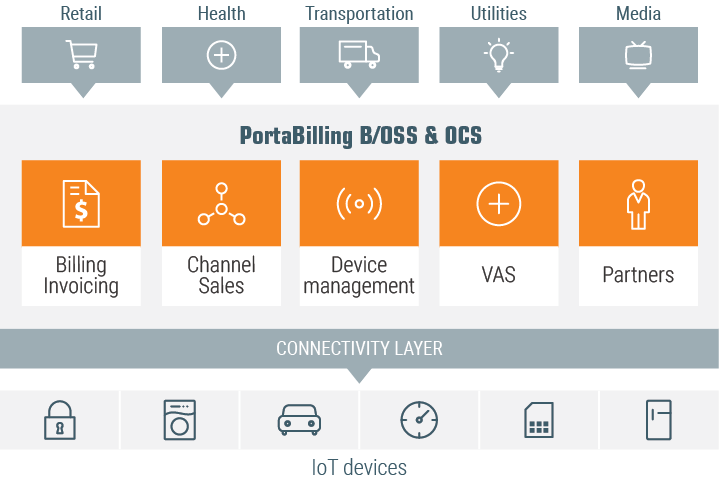 PortaBilling is a carrier-grade convergent billing system that ensures you can monetize your IoT deployment rapidly and minimize risks.